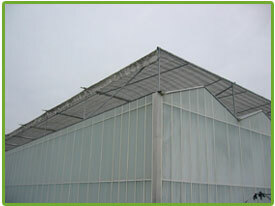 In the construction of greenhouses, a good curtain system installation is indispensable. Curtain systems control the climate and benefit the product quality. Curtain systems installations can be highly cost efficient in energy consumption. 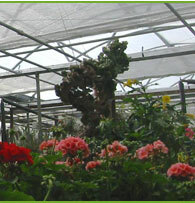 J.C. van der Spek Greenhouse Services supplies and installs a vast range of curtain systems to the customer’s requirements and his crop choice. Some of the systems we offer include: Heat retention, Heat resistant, blackout, and Shade curtains. There is a choice between several system types. The advantage of the pull-wire system is its ability to allow for maximum light transmission, unlike the push/pull system’s rods. On the other hand, the push/pull system exerts less force on the gables, which is an advantage when working with different types of systems. 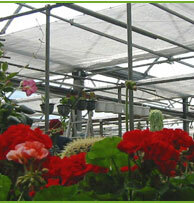 Suspended systems are for use in open roof greenhouses, outside shade halls, and over the top of greenhouses. 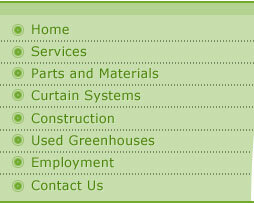 For all systems J.C. van der Spek Greenhouse Services supplies a complete range of parts.